Microplastics are in the environment and they are there to stay. 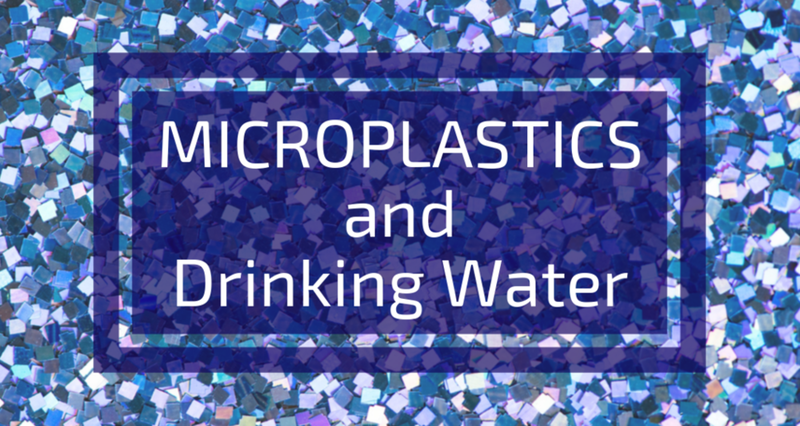 Microplastics are tiny pieces of plastic, measuring less than five millimeters in length. That’s about the size of a sesame seed, and they can be as small as the period at the end of this sentence (or smaller). While you might be familiar with large plastic gyres in the ocean, a recent study suggests that most of the plastic waste in the ocean is not visible on the surface, but rather hidden as microplastics in the water and in marine life. An easily recognizable form of microplastics in our everyday life is microbeads–those tiny beads found in face washes and toothpaste. While those microbeads may make your teeth shine and your face shimmer, they’re ending up everywhere in our environment, including our drinking water. In 2015, President Barack Obama banned microbeads in personal care products and other several countries followed suit. The problem, however, is far from over. Microplastics continue to end up in oceans, lakes, inside animals, and even in drinking water from other sources (like clothing). Plastic doesn’t decompose or breakdown the way that organic matter does, so when large pieces of plastic degrade into smaller bits, they persist in the environment indefinitely. Almost all of the plastic ever manufactured is still on earth. And we're finding it in our drinking water. Much of what we manufacture and use (and a huge chunk of our waste) contains plastic. Microplastics come from tires rubbing against pavement, from synthetic clothes, and from paint dust floating through the air. Most microplastics are in the form of microfibers. A study commissioned by Patagonia© found that a single fleece coat can release up to 250,000 microfibers in one washing cycle. The short answer? Probably, according to a recent study by the University of Minnesota School of Public Health and Orb media. Plastic has long been a problem for ocean and lake ecosystems, leading to the emerging field of study on microplastics. Knowing how pervasive plastic is in our world and our waters, the question remains: are we drinking it too? Researchers at the University of Minnesota and journalists at Orb sampled drinking water from metropolitan areas around the world. Overall, they found that 81 percent of samples contained microplastics. In the US alone, 94% percent of drinking water samples were found to contain microplastics. Can Microplastics Affect My Health? What is all this plastic in and around us doing for our health? Studies have shown that plastic can absorb toxic chemicals in the environment and leach them out. Put simply, plastic can carry toxic chemicals and then release them later on, exposing people to harmful chemicals. This happens after people have ingested microplastics, but also from drinking bottled water that’s been left in the sun. Those toxic chemicals—such as bisphenol A (BPA) and di-(2-ethylhexyl)phthalate (DEHP), which can disrupt hormone levels — can stay in your gut or move to affect other tissues. Research has shown that microplastics can also be a vehicle for pollutants such as metals and dioxins, which can cause reproductive and developmental problems. As plastics break down into smaller and smaller particles, they can infiltrate into tissues, making their way into the bloodstream. Most research has been conducted on the effects of ingesting plastic in wildlife populations, but similar research is beginning with humans. As microplastics are a relatively recent field of study, the effects of microplastics on human health remain largely unknown. In selecting a treatment technology, check the pore-size. Microplastics in the Orb study were about 2.5 microns. A filter with a pore size less than 2.5 microns will remove most microplastics from your tap water. Don't hesitate to get in touch if you would like more suggestions, or if you want to test your water for microplastics to learn more.